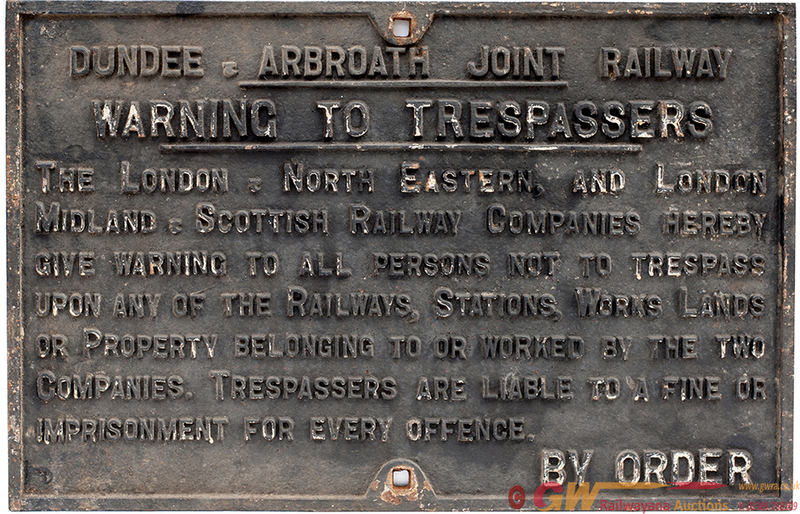 Dundee & Arbroath Joint Railway TRESPASS Sign. Dundee & Arbroath Joint Railway TRESPASS sign. Measures 26in x 17in, in totally original condition. An extremely rare sign.